I was first introduced to tarator at my host family’s house in Bishqem and fell in love at first sight. For real. 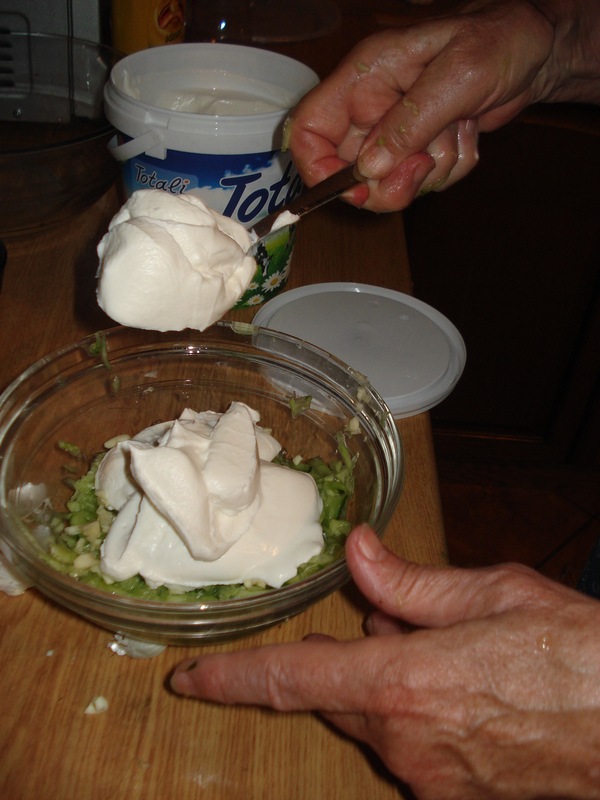 It’s so refreshing and light and delicious…and I could just eat a bowlfull every day. 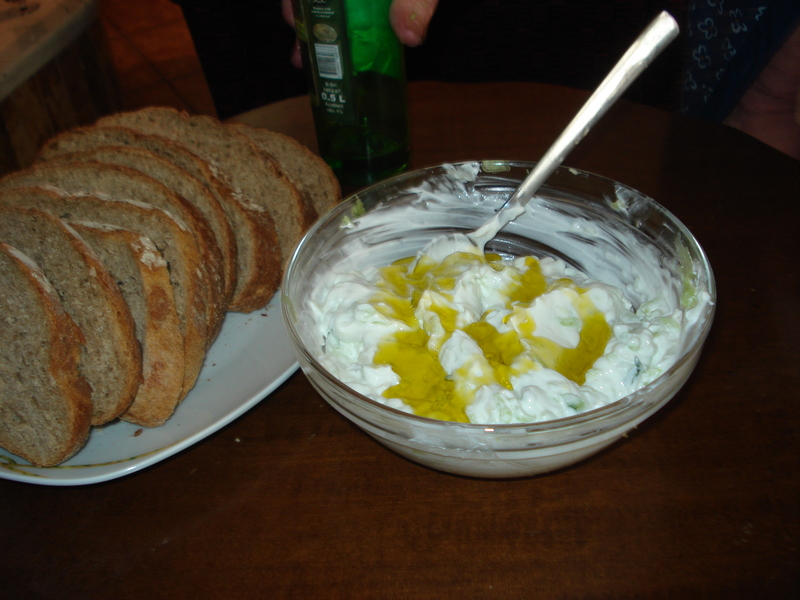 Albanian’s don’t put it on giro sandwiches or anything like the Greeks do. 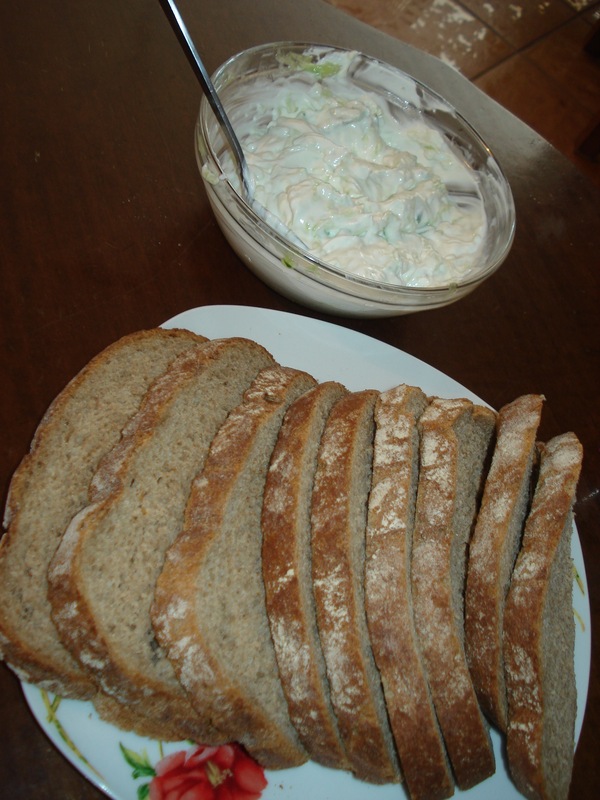 Here, we just cut big pieces of bread, slather it with tarator, and enjoy! 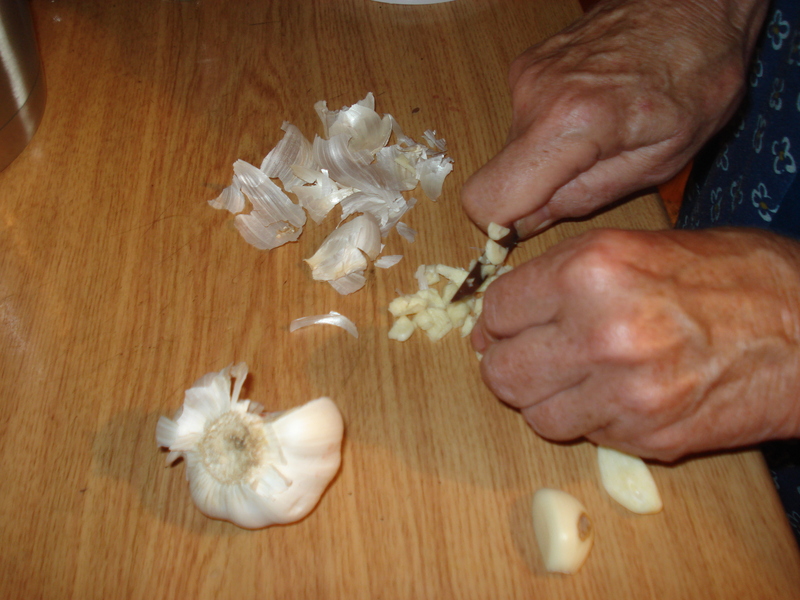 Dice the garlic cloves and put them into a bowl. 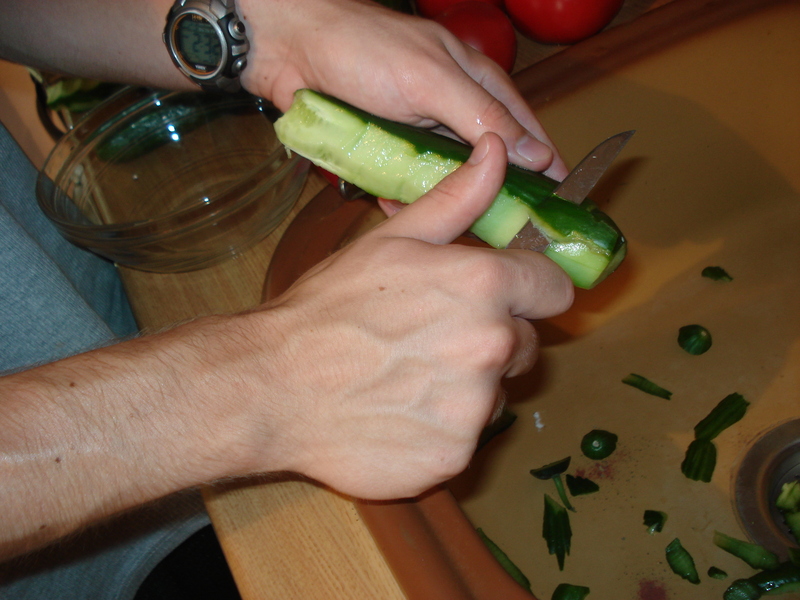 Skin the cucumbers then slice them long-ways. 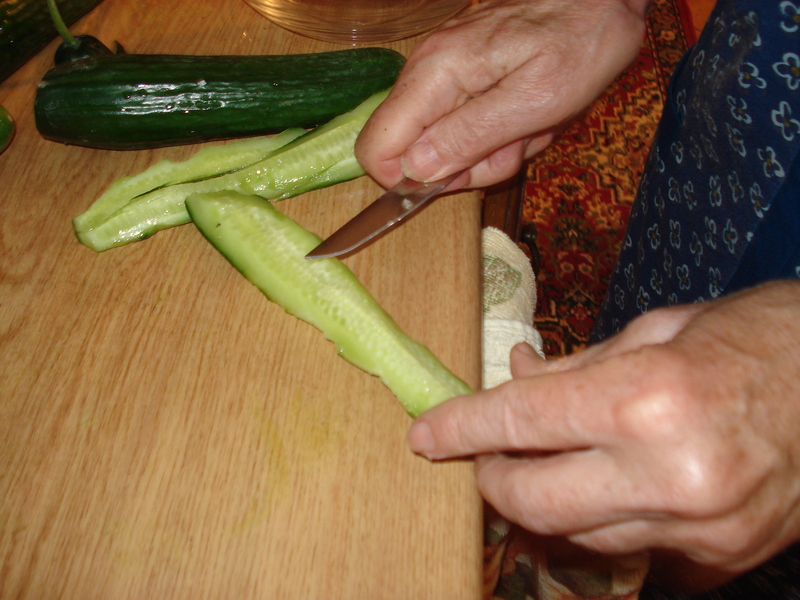 Take out the middle part of the cucumber slices that are juicy and full of seeds (discard it in the trash or in your mouth lol). 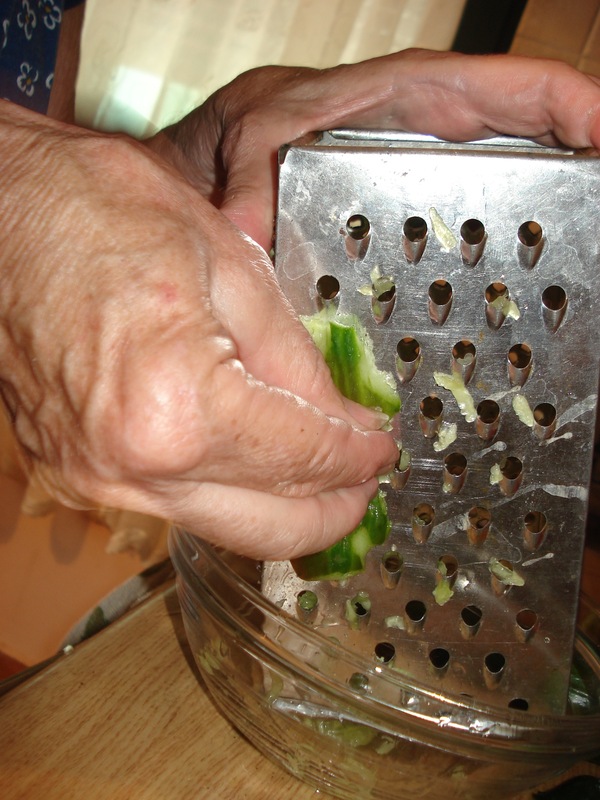 Grate the cucumber slices into the bowl with the garlic. 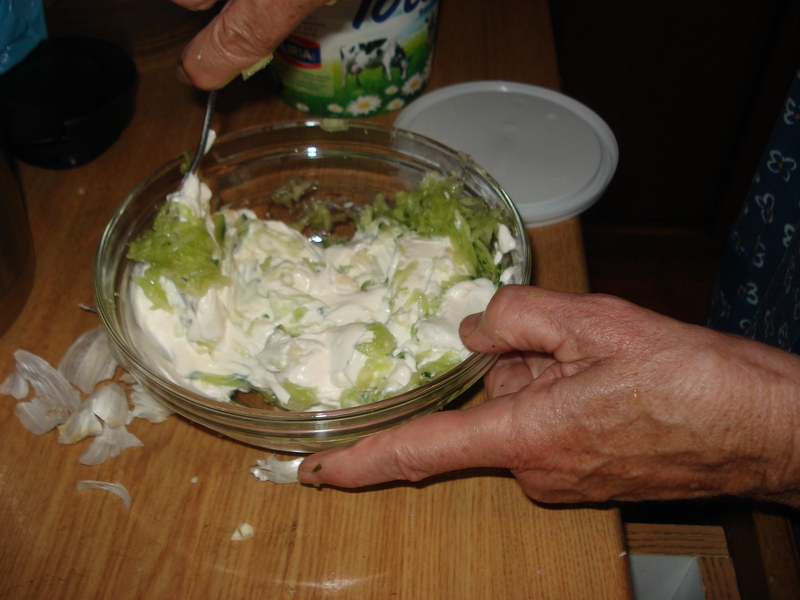 Add the yogurt, salt and pepper. Stir until it’s all combined. Drizzle the olive oil on top and stir it again. It should be kind of thin but not soupy. Serve it with a fresh loaf of crusty bread.